Spending most of your time at work putting out fires? Frustrated with employees who don’t do the job properly? Tired of your phone blowing up with questions and crises whenever you try to get away? 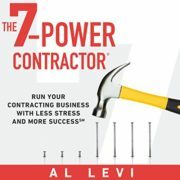 In The 7-Power Contractor, former contractor and contracting business expert Al Levi lays out seven simple business powers that hundreds of owners have applied successfully to run their businesses with less stress and more success. 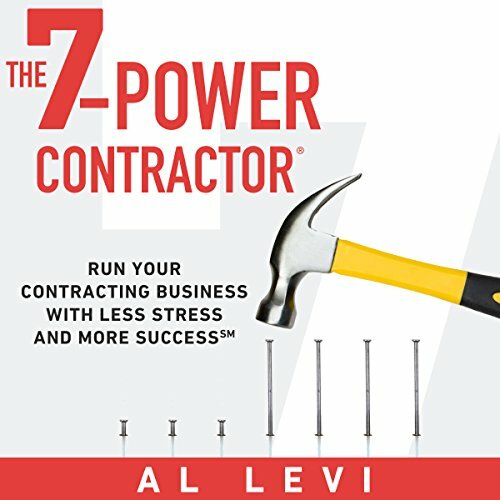 In these audiobook, you will learn about the seven power concepts – planning and leadership, operating, financial, staffing, selling, marketing, and sales coaching – you can use to run your business better. You will also hear from other contractors about how their application of these concepts faithfully and consistently over time empowered them to transform their businesses and their lives forever. If you are ready to create a business you can run with less stress and more success, this audiobook is for you.